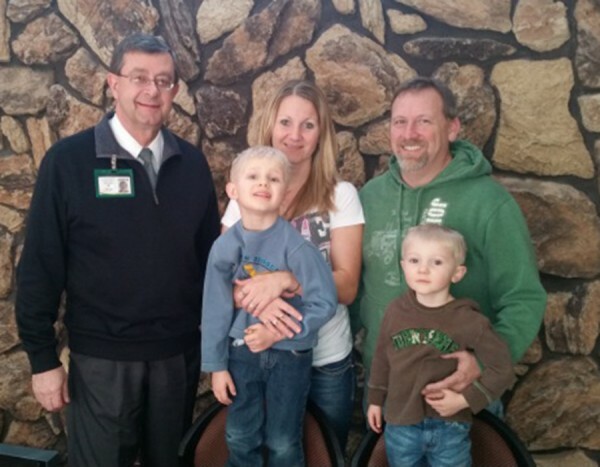 Brett Boggs accepts a donation from Lisa and Kris Fear, pictured along with their children Eelan and Kolton. Recently, donors have helped fund bringing life coach and youth motivational speaker, Jeff Yalden, to Tippecanoe Valley. On Monday, Feb. 16 and Tuesday, Feb. 17, Yalden made presentations and provided training to middle and high school students, followed by an evening presentation for parents and members of the community. Tippecanoe Valley thanks these generous sponsors for helping bring this event to the community. 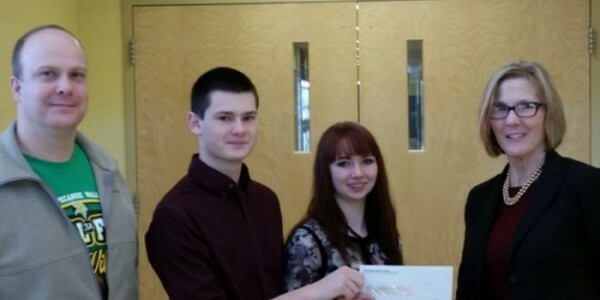 Tippecanoe Valley High School Principal Mike Bendicsen and TVHS Seniors Micah Bradley and Sarah Jones accept a donation from Teachers Credit Union Warsaw Service Center Manager, Karen Mayer.